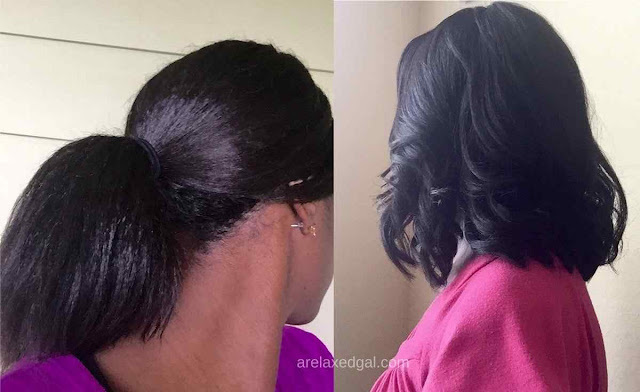 As I continue on my healthy hair journey I try to provide monthly updates on how my hair is doing by sharing what has been going right and what hasn't. For July I'm going to track how I'm doing against my 2015 hair goals. You can also check out my hair update video on my YouTube Channel. During my relaxer stretch and after my relaxer touch up my hair felt and looked great. No major breakage, shedding, or moisture loss. I did try a new conditioner in July Suave Almond and Shea Butter Conditioner, but only because I ran out of Suave Natural Infusions Macadamia Oil Conditioner and despite visiting several stores, some multiple times, I couldn't locate it. The stores will all out. The Almond and Shea Butter Conditioner seemed the best alternative. I was doing this more like seven days a week until after my relaxer touch up. In July I ended my relaxer stretch and got a touch up using a new stylist. I liked the work she did, but she doesn't believe in stretching relaxers past 6-8 weeks so I won't be using again. Do more protective styling wearing buns, braids, etc. 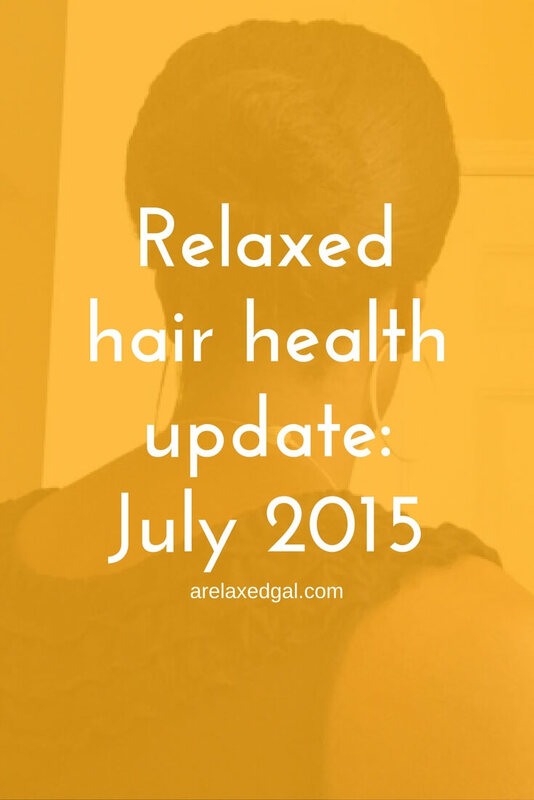 How are you tracking against your 2015 hair goals?